I wasn’t seeing quite as clearly as I thought I should, but it was difficult to discern just what the problem was. My glasses, perhaps? At the end of last week, when part of a line of text would drop down on the line below, I knew what was happening. Macular degeneration had come again to my left eye. I have received many treatments for this problem over the past 11 years. I had seen the eye specialist six weeks earlier and all was stable at that point, but now it was changing again. What happens is that tiny capillaries develop behind the macula, the central part of the retina, and cause it to bulge, distorting vision. T This can lead to permanent vision loss and blindness. At least to the point where I would no longer been able to drive a car, read or use a computer. I called Saskatoon Retina Consultants Monday morning and a day later I was there to have tests done once again, including a scan of the back of the eye. The doctor looked at the results and saw just the tiniest beginning of swelling. In a few minutes he had injected Lucentis into the eye and I was able to go home, with my wife doing the driving. Lucentis acts to dry up those tiny capillaries, it has to be placed as close to the action as possible so as to be effective where it is needed and not to affect capillaries elsewhere in the body. Thus it is injected by needle directly into the eye. Sounds gruesome, but the doctor is smooth and quick and the eye feels no more effects by the next day. This morning my vision was more distorted than it had been yesterday morning, but now by evening I can tell that the medicine is working, the swelling in the macula must be going down as lines of type stay more or less straight. By tomorrow I expect to be able to put in a day’s work of bookkeeping. I will need two more injections, at one month intervals, to maintain the effect. I have had 12 or 15 needles in each eye over the past years and they are the reason I am still able to function. It was eight years since the last episode in my left eye. Check your blood pressure regularly, high blood pressure is a contributing factor. Don’t spend time in bright sunlight without sunglasses. Okay, God has a plan for me. Now what? Other prophets were telling them that God would soon break the Babylonian yoke and they could return to their own country. Jeremiah was delivering the cold, hard, unpopular facts — yes, that is coming, but you will have to wait the whole seventy years for it to happen. Meanwhile, get a life where you are. The lesson of the book of Job is that God does not give an account of what He does. Job’s three friends thought they had the answer: Job had committed some horrible hidden sin and if he would only confess, God would restore him. They were wrong, Job was merely a pawn in Satan’s warfare against God. Job himself thought that God owed him an explanation for all that had happened. At the end, he grasped that God’s ways were far beyond his understanding. In accepting that truth, he found peace and restoration. Bringing this down to a personal level, I often find myself wishing I knew what God’s plan is for me. Two days ago, I went to see my eye doctor for a routine checkup. It turned out to be not so routine. To set the scene, it was seven and a half years ago that I was first diagnosed with the wet form of macular degeneration. There followed a little more than three years of periodic injections into one eye or the other in an attempt to stop the degeneration. And it did work, my vision is less than it used to be, but it has been stable for four years. On Tuesday, the doctor detected a slight swelling of the retina of my right eye, caused by bleeding from tiny capillaries. I signed the consent forms and was given an injection of Lucentis in that eye right then and there, with two more scheduled, a month apart. The doctor thinks he caught it early enough that that will be all that is needed. I hope so. I wish I could know. But why? What good would it do me to know, either way? God knows what the future holds for me. I don’t, and it’s probably better that I don’t. That would distract me from doing what He wants me to do today. Today is the only day that I have any control over; the future will come as it will. So today I will direct my thoughts and my actions toward the things that matter for today, and trust the future into God’s hands. Early in the fall of 2007, I became aware of distorted vision in my right eye. I went for an eye exam and was referred to Doctor Kevin Colleaux, a specialist in Saskatoon. Within a few days I received the first injection in that eye. Over the next three and one half years I had more than a dozen injections in each eye before the macular degeneration was stopped. I consider myself fortunate, because the drug used, Lucentis, had only become available a short time before I developed macular degeneration. I did lose the central vision in my right eye, but the left eye still has undistorted vision. I am able to drive, read, work and use a computer. I know someone who developed macular degeneration a few years before I did and he is legally blind, he can do none of those things. More recently, the vision in my right eye has become quite cloudy. Wednesday, I had cataract surgery in that eye. The procedure involves making a small incision in the eye, inserting a tool to dissolve the lens by ultrasound, sucking out the dissolved material and inserting a new plastic lens. I was given several types of eye drops prior to the surgery, then a gel containing several more drugs was spread over the eye. It took some time for this all to work to dilate the eye and to make it insensitive to pain. The operation itself took five to ten minutes, I was awake during the procedure, felt nothing in my eye, and had no pain afterwards. I still have no central vision in that eye, but the cloudiness is gone. The plastic insert is a prescription lens giving me clear distance vision. In about six weeks I will have my eyes tested and get new glasses. My wife had to drive me around after the surgery because that eye remained dilated for 24 hours or more, giving me foggy vision. As of today I am back to work and very thankful to Doctor Colleaux, his support staff, and all the researchers who have developed means to help me keep my vision. Years ago nutritional experts told us that cholesterol was the main culprit in heart disease and that we should try to eliminate it from our diet. The food industry happily jumped on the bandwagon, rejigging the formulation of their products and telling us how heart healthy their new products were. Then the nutritionists said, no, cholesterol isn’t the main problem, saturated fats are far more dangerous. Once again, the food industry, the diet industry and dear old Aunt Grace took it upon themselves to get us to stop eating so much saturated fat. Wrong again. Now they tell us that the real culprit is too much Omega 6 oils in our diet. Our body requires a roughly two to one ration of Omega 6 to Omega 3. Too much Omega 6 in the diet reduces the ability of the body to convert the ALA (Alpha linolenic Acid) Omega 3 in plant foods to the EPA (Eicosapentaenoic Acid) and DHA (Docosahexaenoic Acid) forms of Omega 3 that protect us from diseases. An elevated intake of Omega 6 is associated with an increase of inflammatory diseases. The list of such diseases includes: heart disease; obesity; type 2 diabetes; macular degeneration; irritable bowel syndrome; rheumatoid arthritis; asthma; cancer; autoimmune diseases and psychiatric disorders. The problem is that most of the oils that we have turned to in our stampede to eliminate saturated fatty acids from our diet contain mostly Omega 6 Essential Fatty Acids. Such oils include corn oil, sunflower oil, safflower oil, cottonseed oil, peanut oil and sesame oil. Soybean oil has a ration of seven to one Omega 6 to Omega 3. Even olive oil is high in Omega 6. Canola oil runs at the ideal two to one ratio. Flaxseed oil has four times as much Omega 3 as Omega 6, which is why eggs from chickens fed a diet containing flaxseed have the ideal two to one ratio in their yolks. Fish oils have mostly Omega 3. In addition, the Omega 3 in fish oils is already in the form of EHA and DHA which can be immediately used by the body. Since I have suffered from macular degeneration, I now take an Omega 3 supplement with the highest DHA number that I can find to reduce future deterioration. “And Jesus said unto him, No man, having put his hand to the plough, and looking back, is fit for the kingdom of God” (Luke 9:62). I have had some experience in tilling the soil and have learned the danger of looking back to admire the straight furrow I have made. When I stopped looking forward, the furrow began to swerve from its intended path. Looking back to enumerate my accomplishments over the past year would probably have the same effect. Even more so if I would see little to boast of and begin to blame others for my lack of accomplishments. My wife was diagnosed with Chronic Lymphocytic Leukemia earlier this year. After many tests she has also been told that her condition is stable and only needs to be monitored once per year. We have not accumulated much in the way of material goods over the years, but we have accumulated many friends. We keep in contact with people in places where we have lived and places we have visited. I count it a special privilege to have corresponded with three missionary couples (two in the Philippines, one in Cameroun) over the past few years. All three of the wives were toddlers when we first met 35 years ago as we moved to Ontario. It has been a few years since we have seen them, and we have never seen their children, but it is a blessing to know that those little girls have grown into fine Christian women. We are still learning new things, new skills, making new friends. We are growing in faith, and in faithfulness. Hitherto hath the LORD helped us. I want to face the future with that calm assurance. Ye shall not need to fight in this battle: set yourselves, stand ye still, and see the salvation of the LORD with you (2 Chronicles 20:17). In returning and rest shall ye be saved; in quietness and in confidence shall be your strength (Isaiah 30:15). Five and a half years ago I became aware of a deterioration in my vision. The diagnosis was macular degeneration, the fast-acting wet form. There was a treatment that had recently become available, but it involved injecting a medication directly into the eyeball. I did not like the idea, but the alternative was vision loss that would deprive me of the ability to read or drive a car. Over the next few years I had numerous injections, in both eyes. The doctor was very good at what he did, smooth and quick. I knew the medicine would work, but there was that brief instant when he would take a needle and poke it into my eye that I would gladly have avoided. But that short-lived pain is what it took to get the medicine to the source of the problem. After a few injections I knew the pain did not last long and the injection site would heal rapidly. One time, I persuaded myself that the injection was no big thing, I could just relax, let the doctor do his thing, and all would be well. When the needle went in, I gave a little jerk. No real harm was done, it took the eye maybe an extra day to heal, but I realized that thinking that I could just sleepwalk through the treatment was not a good idea. Neither would I ever be able to give myself the injection. I believe it is the same way when we are in need of spiritual healing, whatever the need might be. We cannot heal ourselves, we must go to the Great Physician. We know from past experience that God’s fire will bring cleansing and healing, yet we instinctively dread it. It does not come naturally to hold still. “Holding still” requires that I be a willing participant, both for the physical and the spiritual healing. For Father’s Day last year, our children gave me a Kobo Touch eReader, a marvellous little device about the size of a very thin paperback, with enough memory to hold thousands of books. Considering that we have been buying another bookcase every four or five years, this should be a big money and space saver. With the Kobo, I can adjust the type size for easier reading, a major benefit for someone battling macular degeneration. I have found the Kobo helpful for finding older classics that I wanted to read, The Brothers Karamazov, for example. Such books can be downloaded at a very minimal cost, sometimes even free. I don’t have to deal with the musty smell of a used book or the small print of a paperback. I wanted to read Alexis de Tocqueville’s Democracy in America. I read that there was some disagreement about which was the best English translation, so I downloaded the original French text. Where would I buy that out here in Saskatchewan? eBooks and eReaders are here to stay. Some people will use them much more than I do, most of us who like to read will adapt to a mix of the two technologies. I will buy some new books for my Kobo that I wouldn’t buy if my only option was a costly printed edition. Authors don’t need to be afraid of eBooks. They should earn as much from an eBook that I download as from a hardcover that I buy in a store. When a publisher sells an eBook, he saves the cost of printing, binding, distribution and the cost of accepting returns of unsold copies. So how come I’m still buying B.O.O.K.s? Well, the reality is that nothing electronic quite matches the technology of a B.O.O.K. An eReader does allow for a limited amount of book marks and highlights, but they’re just not as easy to do, or to find again. When I pick up a B.O.O.K., I can start reading right where I left off, without waiting for it to boot up. If I want to look back to something I read earlier, I don’t have to go back page by page. If I am not much impressed about the portion I am reading I can quickly glance at the following chapters to see if it gets any better. If I want to look up something in a reference book, indexing is a problem with eBooks. I don’t believe that either books in print or bookstores are endangered species. Online book retailers like Chapters-Indigo and Amazon list a fantastic selection of books and are doing a booming business. Bookstores are adapting to the new market realities, becoming fewer and bigger, and providing seating for people like myself who want to have a good look at a book before we buy it. I know the Lord will make a way for me. Denver and I were into the final stages of preparing for Vacation Bible School, selecting choruses to be sung during the week. We came to this one. We read it over, then Denver said, “You know, if the children who come would remember nothing else from the coming week but this song, it would be enough. They are all going to face situations in their life that seem impossible. What better thing can we give them but the promise of this song so that they could remember it at such a time and pray the Lord to show them the way?” I liked his thought and this song became the theme of the VBS week. Between 90 and 100 children sang it every evening from Monday to Friday and again for their parents during the Sunday evening program. Twenty-five years later, I was noticing a rapid deterioration in my vision and facing the threat of losing my eyesight. A specialist diagnosed it as the wet form of macular degeneration. He told me that the only thing that could help was to inject a drug directly into my eyeball. He never called it a cure, but held out the hope that it could stop the deterioration, at least for a time. This was devastating news. 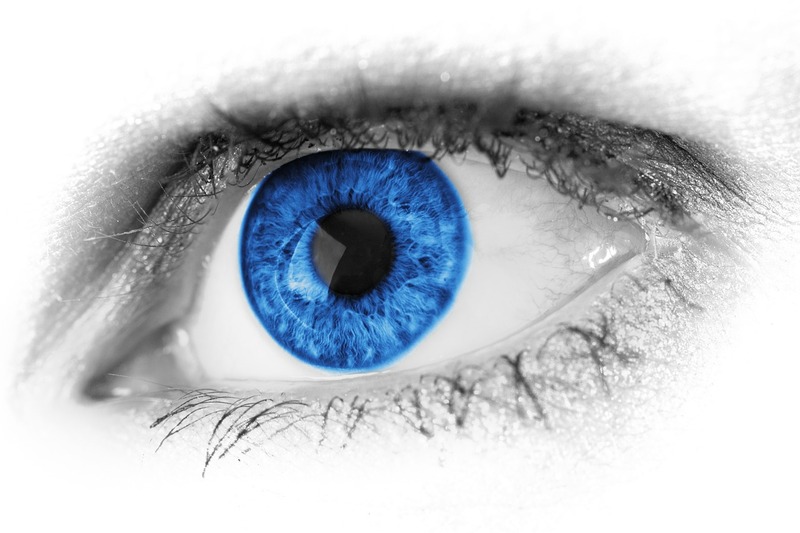 Everything I do, bookkeeping, reading, writing, proofreading, translating, requires the use of my eyes. How was I going to be able to cope with this? I prayed and an assurance came to me, softly and clearly: “There will be a way.” I didn’t take this to be a promise of healing, but a promise that whatever happened, there would always be a way to cope with it. I remembered the stories my mother used to tell of her father, a blind man who raised a family of 14 on a poor dryland farm. The children never could understand how he could do some of the things he did. He refused to give up, and I determined that I wouldn’t either. That was four and one half years ago. I have received more than a dozen injections in each eye. This is not really a pleasant experience, but Dr. Colleaux is very good at what he does and gives the injection quickly and smoothly and the eye heals quickly. The drug did its job, but for several years it seemed that after a few months the degeneration would begin again. Now it has been 18 months since the last injection in my left eye and 15 months since the last one in my right eye. I have lost the central vision in my right eye, but the vision in my left eye is good enough that I can still drive and read and carry on with my work. During my last visit to Dr. Colleaux, a week ago, he told me that, while he can never say that I am out of the woods with this type of condition, the prognosis from here on is hopeful.